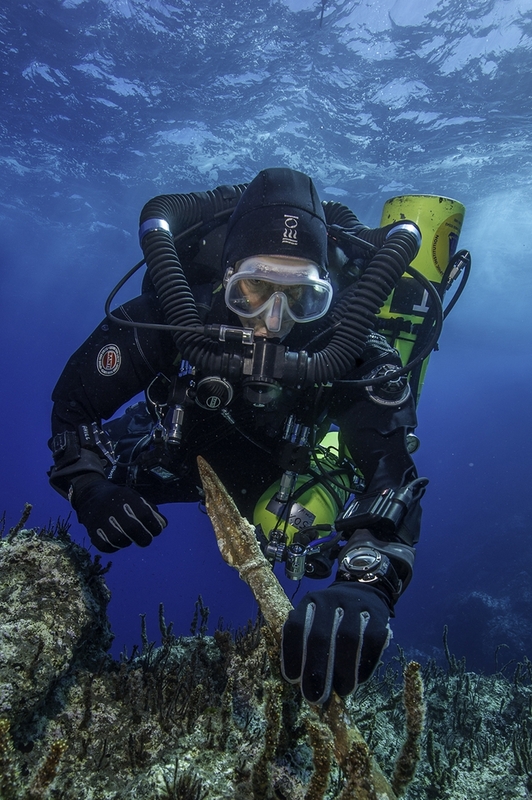 A blue game pawn, bone flute and part of a plate, made up of delicate coils of blue and yellow glass, are among the latest artefacts to be retrieved from the famous Antikythera shipwreck. My article about the expedition is published in today’s issue of New Scientist. 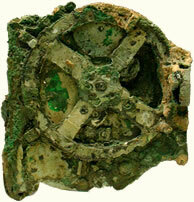 When my book about the Antikythera mechanism, Decoding the Heavens, was published in 2008, I speculated about the best hopes for discovering more about this revolutionary device, or even finding others like it. One possibility, I wrote, would be for marine archaeologists to re-investigate the 2000-year-old wreck on which the mechanism was found, as there were clues that much of the ship’s cargo was still lying buried beneath the sand. I never thought that just a few years later, researchers would be doing exactly that. The 1st-century-BC shipwreck, near the tiny Greek island of Antikythera, was discovered by sponge divers in 1900. 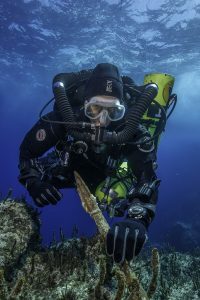 They spent ten months salvaging the 55-metre-deep site for the Greek government, and rescued an impressive haul of ancient artefacts, including bronze and marble statues, ornate furniture, luxury glassware, silver bowls, gold jewellery – and, of course, a sophisticated bronze geared device known as the Antikythera mechanism, which modeled the movement of the Sun, Moon and planets in the sky. But it seems they didn’t find everything. Little is now visible on the surface of the seabed here except broken pottery, but when the undersea explorer Jacques Cousteau excavated a small part of the site in 1976, he found hundreds of items including statuettes and coins. 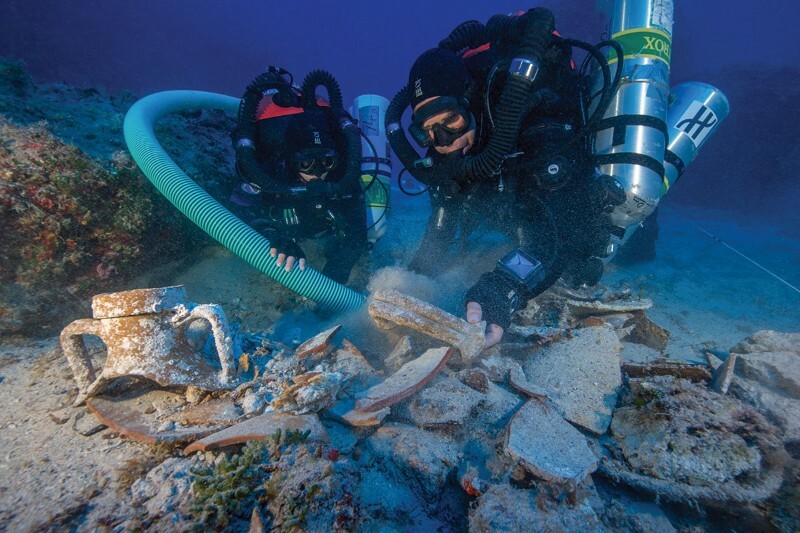 Now Brendan Foley of Woods Hole Oceanographic Institution, working with archaeologists at the Greek Ephorate of Underwater Antiquities, wants to find out what else is still buried. The team conducted their first large-scale investigation of the site in October last year. Despite unrelenting bad weather (treacherous storms are common here) they managed to create a high-resolution photographic map of the site, and used metal detectors to reveal a gorgeous 2-metre-long bronze spear. I was lucky enough to join the team on Antikythera and my feature about the project was published in Smithsonian magazine in February. Foley and his colleagues returned earlier this month, this time to carry out a systematic excavation of the site. Again, I was able to join them. 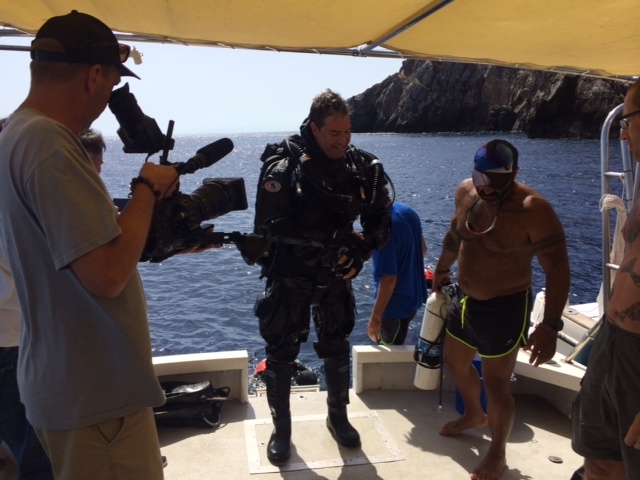 The divers began cautiously, surveying the site with metal detectors and digging shallow trenches by fanning the water with their hands. This yielded some lovely small finds – including a small blue game pawn, two sections of a bone flute, a decorative wine jug and fragments of glassware and bronze. 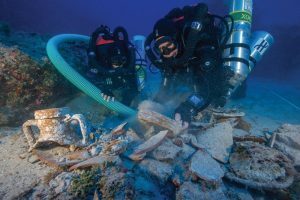 From the distribution of metal detection hits and finds, the team was able to get a good sense of how the wreck is laid out, and the likely location of the cargo hold – which they hope will contain more statues. 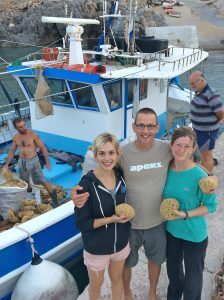 But they also realized that they’ll need to dig much deeper to find any large items buried beyond the sponge divers’ reach. The top layer of sediment across the site – perhaps 70 cm or so – appears to be completely disturbed, made up of coarse sand, pottery sherds and very little else. Beneath that is a layer of much finer, creamy-white sand, that seems to be untouched. This extract was sent to me by Alexander Jones of the Institute for the Study of the Ancient World in New York, and he suggests that it was at this late excavation stage that the Antikythera mechanism was probably found. Foley’s team hope to return to Antikythera next year, perhaps as early as June. They will target their efforts on the area that they believe to be the cargo hold, and take a more aggressive approach to removing the sediment, to reach down to the undisturbed layers. “It’s just a matter of time,” Foley says.